I just love this little guy. 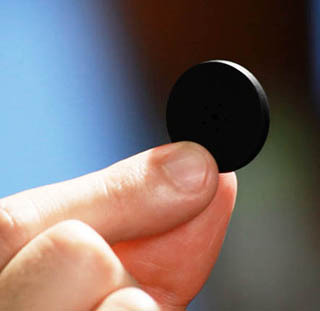 The StickNFind is a cute quarter-shaped, bluetooth-equipped disc that attaches to just about anything, so you can track it on your iPhone or Android device. Now that’s forehead-slapping genius. The masses agreed — the venture nabbed close to a million dollars in funding from the community at IndieGoGo and, announces the company, is finally on the cusp of launching. Tend to misplace your keys? Stick the disc on that keychain. Always hunting your wallet? Just slide this bad boy right in. Attach it to your dog’s collar, your kid’s shoe, your girlfriend’s purse — just kidding… (Please don’t do that.) Once the StickNFind has been situated, you can fire up the mobile app and see it on a virtual radar screen or be alerted if it comes into/out of range. Keeping pets corralled: Stick the disc on Fido’s collar and get alerted if it goes out of range, or use the radar to see if it’s nearby. Tracking your suitcase: Hang out in baggage claim and when your suitcase comes out on the carousel, your phone will alert you that it’s in range. The device uses the Bluetooth 4.0 BLE profile for low-energy consumption. (Frankly, all modern Bluetooth accessories should have that, since it vanquishes the power drain problems of older Bluetooth profiles.) The disc is powered by a replaceable watch battery, which should last for at least a year. At MWC, the company also announced today that it revamped the mobile app, boosted the range another 50 feet (for 150 feet total) and now offers better tracking accuracy (within two inches). StickNFind starts shipping next week — a month ahead of schedule — so pre-order customers will get the $25 device first, followed by stores in April. Comes in black, red, white, pink, blue and mixed colors. Are you always losing things around the house or elsewhere? Where would you use something like this? inches of its location, using Stick-N-Find’s patent-pending algorithms and techniques. proprietary mixed non-absorbant plastic casing, enabling expanded reach. 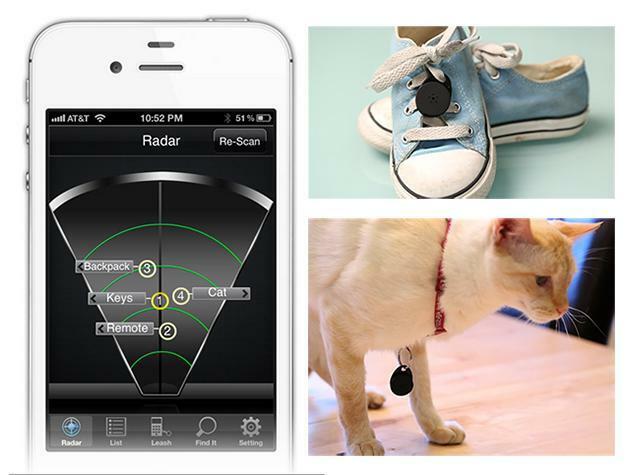 StickNFind made its debut in December 2012 on Indiegogo, with its first showcase at CES 2013 in Las Vegas, NV. StickNFind was one of the top crowdfunded projects of all time on the Indiegogo platform raising more than $930K in less than six weeks.